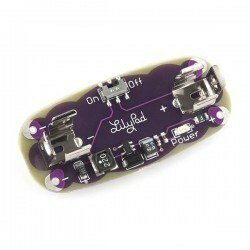 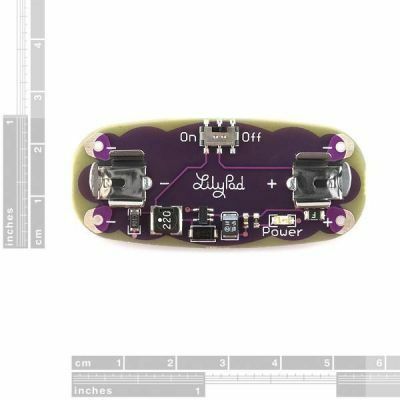 LilyPad Power Supply contains an AAA battery slot, step up voltage regulator and switch on its own. 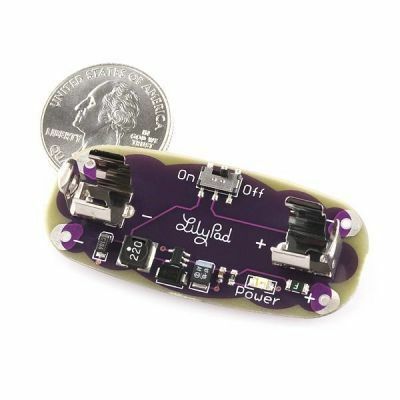 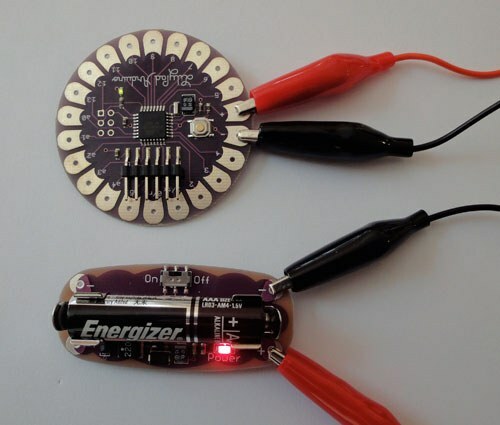 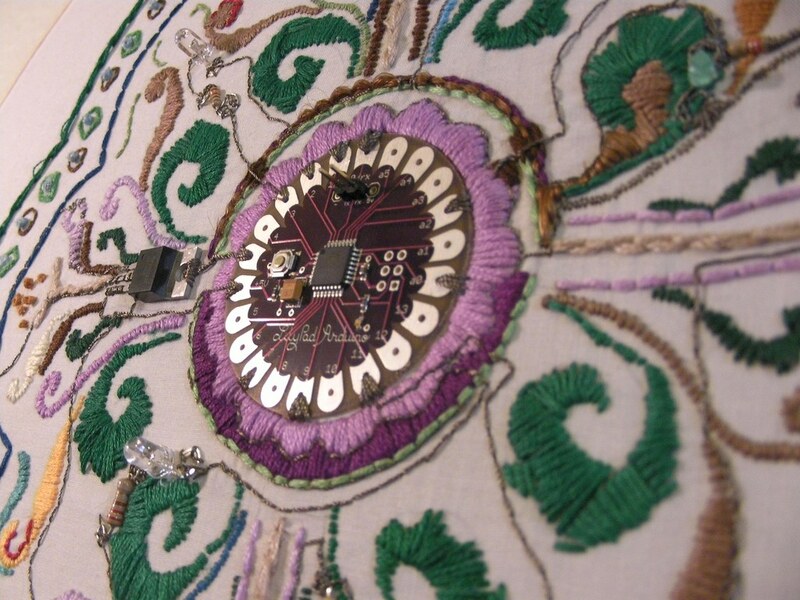 In this way, LilyPad can be supplied with only one battery. 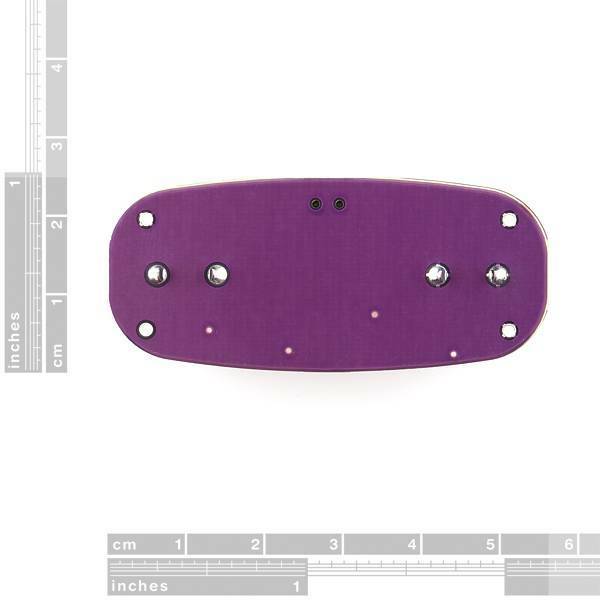 Click here for Eagle file. Click here for LilyPad Power Supply's stickers. Click here for all LilyPad's stickers.